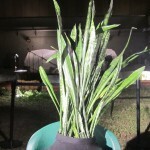 Sansevieria Trifasciata, an epic houseplant, performed its work “The Plant is Present” at the School of the Art Institute’s New Blood Performance Festival, November 19th and 20th, 2011. 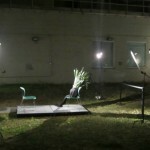 The plant sat silently while a total of 138 visitors took turns sitting in a chair opposite it, staying in its presence for as long as they liked. 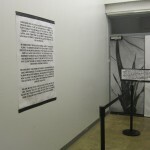 All guests were photographed, and asked to record their experience in a comment book. Responses ranged from “I felt a connection to the plant and was able to live in the moment” to “It was awkward” to “So good! I loved every second of it!” to “Marina was exactly as interesting.” Check back later for more documentation, a full transcription of the comment book and photos of all 138 visitors to the plant. 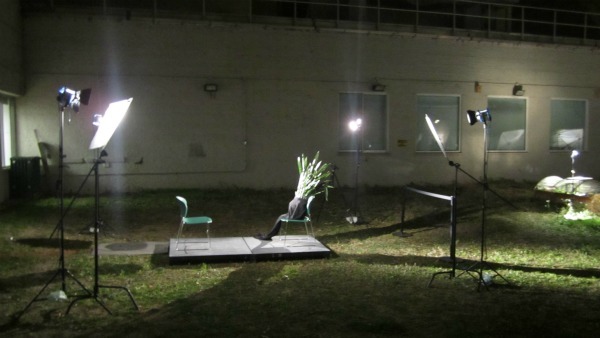 performance | the plant is present | writing | mother in law's tongue, Sansevieria trifasciata, snake plant, the artist is present, The Plant is Present, top 50 plantsthat clean the air.